Cut freeform shapes with this innovative push-style cutter. 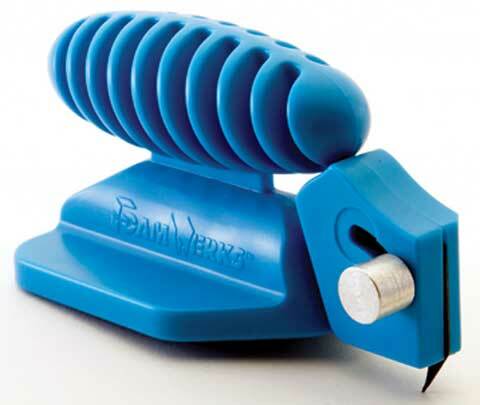 It's easy to use; simply insert the blade into the board and push to achieve the desired shape. It features an ergonomic handle, an on-board blade storage compartment, a blade safety shield and two blades. Replacement blade WB-5 or WB-25 are available.